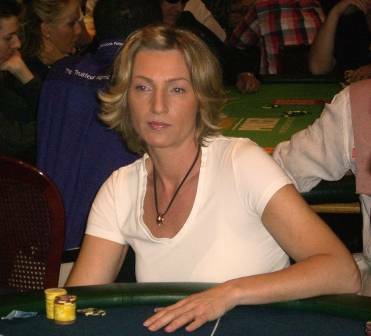 Katja is out, in 89th place out of 480 with 45 ITM. Medium-stacked she overplayed her AJ and ran into AA. Big discussions all evening – playing styles, changing gears, opponent types, accumulating chips and so on – the type of discussion that actually improves one’s game. Katja came into the second day with an slight above average stack of 35k but could not get anything going the first two levels. After winning two very small pots the got more confident and there was one guy being very agressive. He just happens two have AA in two hands in just a few minutes and now he raised UTG just one more time. Katja shoved with her AJ, putting him on a semi-steal with something like KQ or KJ or a very small pair at the max. Unf, he had AA one more time and insta-called! Katja even picked a an remote chance on the turn for a gutshot straight but it was not to be and she was out, very disappointed by her own play. 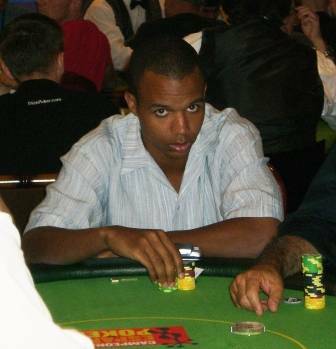 Phil Ivey, just a lucky fish? Of course not but he got very lucky yesterday, that is for sure. Being all in by raising UTG+1 with K6o and getting called by AQ he survived, he survied QQ with A in the flop by turning a Q and late in the day he cracked AA with his set of sixes. His low of the day was 3,000 in chips (the day started with 500/1000 blinds). Now he is in 3rd chip position and serious force to win this EPT event. You gotta like this look, don’t you? The EPT Barcelona field is incredible strong, a real who’s who of the european poker elite. Phil Ivey and Mike the mouth Matusow made the long trip to Barcelona from the US (Mike out quickly on first day). Alone 60 players from Sweden! As someone said “it is very keltic here”, lol. Out next stop is WCOOP starting today at PokerStars. Next Wednesday we are going to London for the EPT there.